Levin L Scott: From Autotransplantation to Allotransplantation: A Perspective on the Future of Reconstructive Microsurgery. Journal of reconstructive microsurgery : 2018. Kazmers Nikolas H, Thibaudeau Stephanie, Gerety Patrick, Lambi Alex G, Levin Lawrence Scott: Versatility of the Medial Femoral Condyle Flap for Extremity Reconstruction and Identification of Risk Factors for Nonunion, Delayed Time to Union, and Complications. Annals of plastic surgery 80 (4): 364-372,2018. Kazmers Nikolas H, Liu Tiffany C, Wu Chia H, Steinberg David R, Bozentka David J, Levin L Scott, Gray Benjamin L: Deferring Routine Wrist Radiography Does Not Affect Management of de Quervain Tendinopathy Patients. Journal of wrist surgery 7 (2): 115-120,2018. Colen David L, Carney Martin J, Shubinets Valeriy, Lanni Michael A, Liu Tiffany, Levin L Scott, Lee Gwo-Chin, Kovach Stephen J: Soft-Tissue Reconstruction of the Complicated Knee Arthroplasty: Principles and Predictors of Salvage. Plastic and reconstructive surgery 141 (4): 1040-1048,2018. Weissenbacher Annemarie, Cendales Linda, Morelon Emmanuel, Petruzzo Palmina, Brandacher Gerald, Friend Peter J, Gorantla Vijay, Kaufman Christina, Krapf Johanna, Levin Lawrence Scott, Vrakas Georgios, Schneeberger Stefan: Meeting Report of the 13th Congress of the International Society of Vascularized Composite Allotransplantation. Transplantation : 2018. Yan Chun Hoi, Arciola Carla Renata, Soriano Alex, Levin L Scott, Bauer Thomas W, Parvizi Javad: Team Approach: The Management of Infection After Total Knee Replacement. JBJS reviews 6 (4): e9,2018. 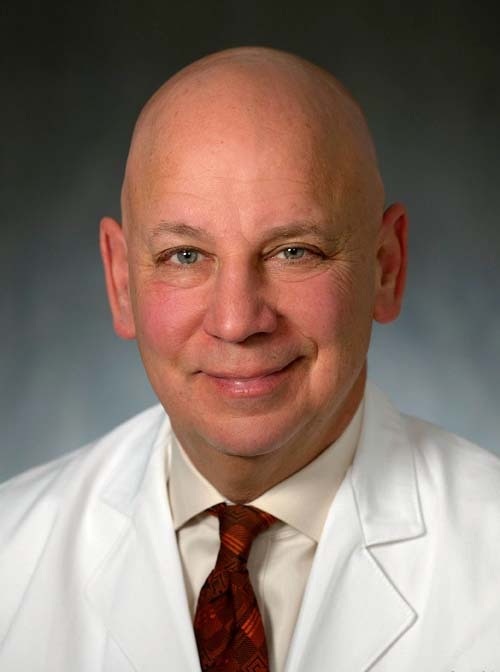 Levin L Scott: Reply to Letter: Muscle versus fasciocutaneous free flaps in lower extremity traumatic reconstruction: A multicenter outcomes analysis. Plastic and reconstructive surgery : 2018. Levin L Scott: Discussion: Long-Term Patient-Reported Outcomes following Free Flap Lower Extremity Reconstruction for Traumatic Injuries. Plastic and reconstructive surgery 141 (3): 784-785,2018. Kamei Naosuke, Ochi Mitsuo, Adachi Nobuo, Ishikawa Masakazu, Yanada Shinobu, Levin L Scott, Kamei Goki, Kobayashi Takaaki: The safety and efficacy of magnetic targeting using autologous mesenchymal stem cells for cartilage repair. Knee surgery, sports traumatology, arthroscopy : official journal of the ESSKA : 2018. Gaetz William, Kessler Sudha K, Roberts Tim P L, Berman Jeffrey I, Levy Todd J, Hsia Michelle, Humpl Deborah, Schwartz Erin S, Amaral Sandra, Chang Ben, Levin Lawrence Scott: Massive cortical reorganization is reversible following bilateral transplants of the hands: evidence from the first successful bilateral pediatric hand transplant patient. Annals of clinical and translational neurology 5 (1): 92-97,2018.